The bulletin does not identify the targeted states, but officials told NBC News they were Illinois and Arizona. Illinois officials said in July that they shut down their state's voter registration after a hack. State officials said Monday the hackers downloaded information on as many 200,000 people. State officials told the Chicago Tribune they were confident no voter record had been deleted or altered. In Arizona, officials said, hackers tried to get in using malicious software but were unsuccessful. The state took its online voter registration down for nine days, beginning in late June, after malware was discovered on a county election official's computer. But the state concluded that the system was not successfully breached. 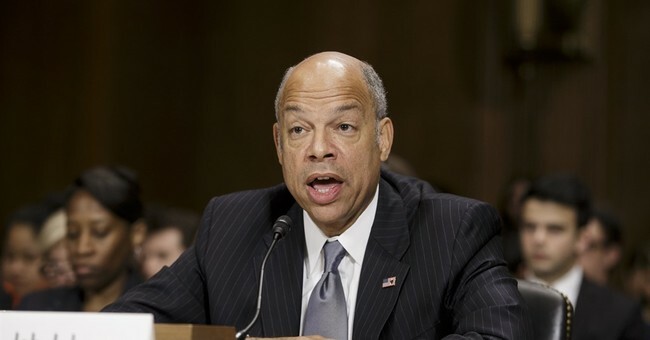 We should carefully consider whether our election system, our election process, is critical infrastructure like the financial sector, like the power grid," Homeland Security Secretary Jeh Johnson said. "There's a vital national interest in our election process, so I do think we need to consider whether it should be considered by my department and others critical infrastructure," he said at a media conference earlier this month hosted by the Christian Science Monitor. DHS describes it this way on their website: "There are 16 critical infrastructure sectors whose assets, systems, and networks, whether physical or virtual, are considered so vital to the United States that their incapacitation or destruction would have a debilitating effect on security, national economic security, national public health or safety, or any combination thereof." The bad news is that voters targeted in these types of hacks could be subject to fraud. Again, it’s not a good situation. It’s a serious security concern, but unlikely to impact our elections in a way to see them break down under the threats of cyber warfare, though I know that’s not going to put everyone at ease.